Posted 6 years before by admin. - 2,259 views Views. 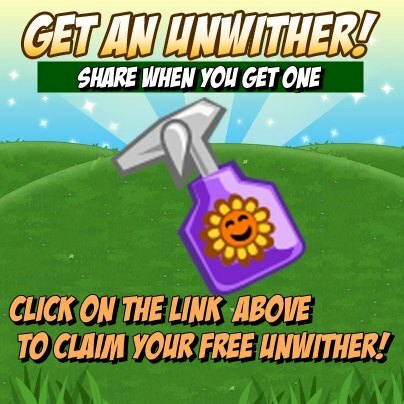 Zynga is giving away a free Unwither to all farmers! All you got to do is click on the icon or link below to claim it. This is limited to 1 Unwither per farmer and you won’t get it if you claimed it before already. This free link will expire on 3rd May, 2013. Please take a moment to click on the Share buttons below if you got your free gift. Thank you and Happy Farming!